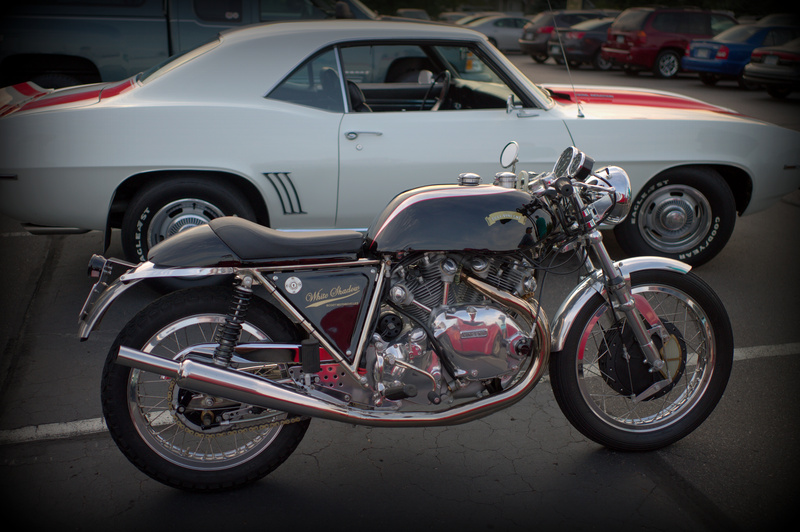 The Sport GT genesis started as a natural gap between the Café Racer and the stock Vincent. A request from customers, who wanted something less radical than the Café Racer but more modern than a Rapide or a Black Shadow. The Sport GT is seen a the modern touring Vincent, the one that the factory could have built as a Series E. With the side panels, this machine looks incredibly neat. As the Café Racer, the Sport GT is available in conventional 998cc or 1330cc displacement while the gearbox can be the stock Vincent 4 speed or the Surtees 5 speed. For the more demanding riders, the 230mm Fontana magnesium front brake can replace the 210mm. Esthetic wise, there are three main choices to do: Feridax seat or one and half seat, with or without the side panels and of course determine the color, both for the engine (black or polished). 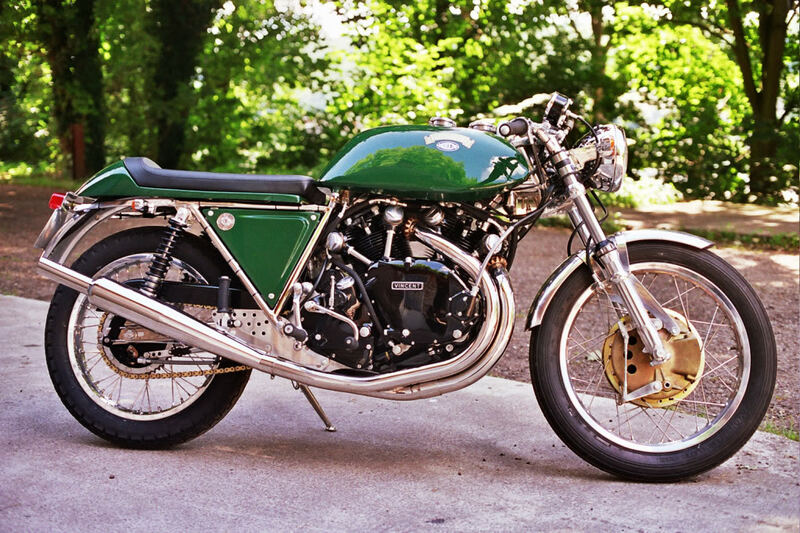 The Café Racer will come standard with the “Fritz Peier” tank, a raised handlebar and Vincent footpegs. Other touring accessories such luggage rack, turn signals… are also available while the Feridax seat makes this bike a genuine tourer. Check it out! The first Sport GT are very close to what we know today. Touring Fuel tank, Side panels but the seat is not yet the one seat and half nut a 2 seater. 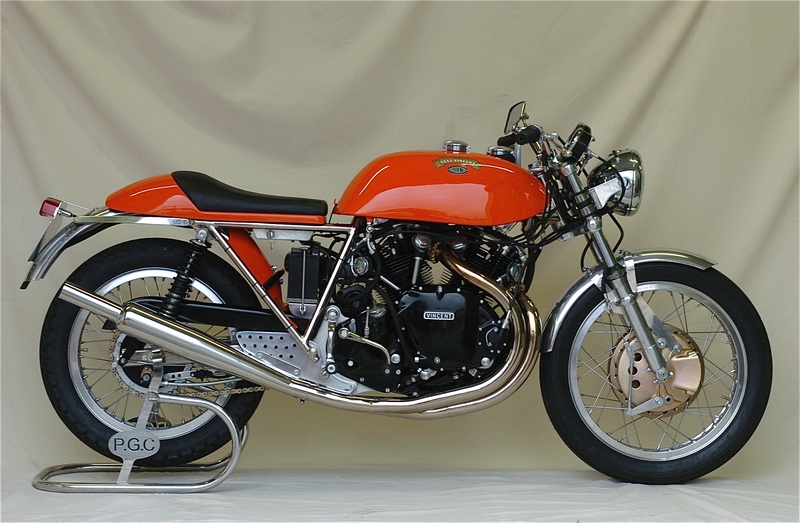 Dunhill wanted something different, “a touch of class”, a bike which had the appeal of the Cafe Racer without the racing background. So was born the Sport GT. 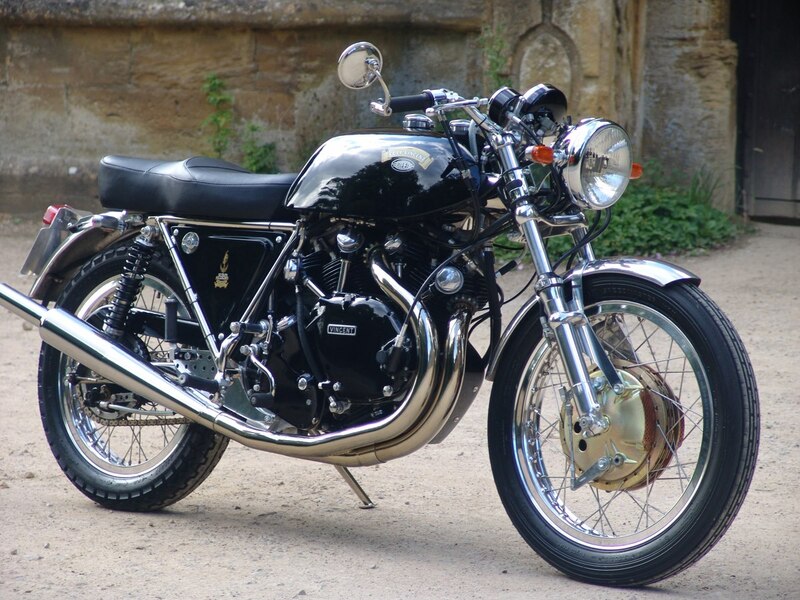 One of the three bikes was more widely used in the UK for the promotion of the brand in magazines and old vehicles rallies. 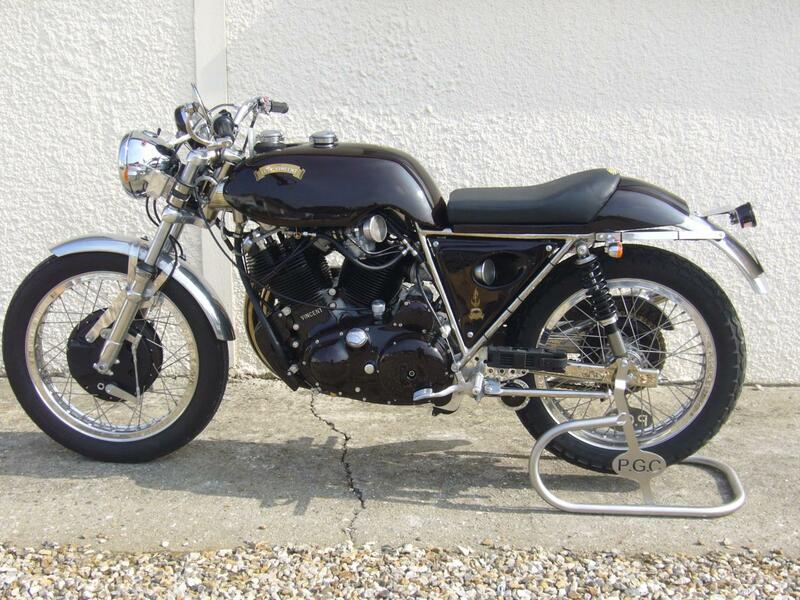 This is the closest to the last stock Vincent with a Feridax seat. A kind of modern Black Shadow with the same 998cc displacement and the stock 4 speed gearbox. Black Shadow engine but in 1330 cc displacement. The White Shadow. 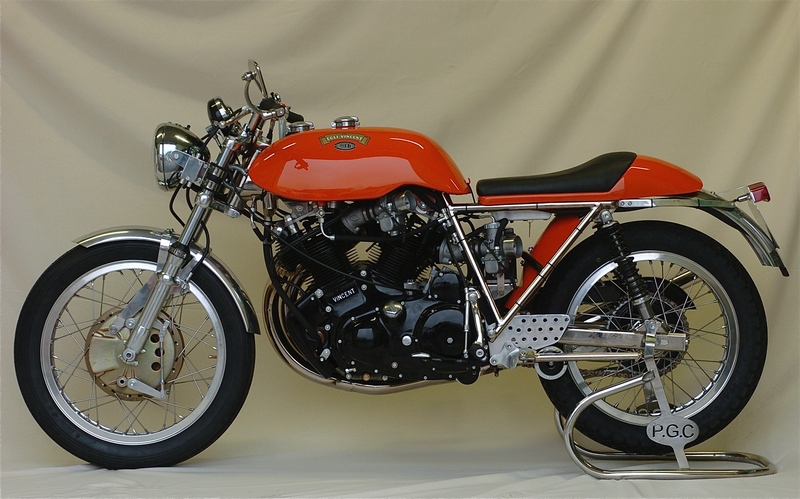 The Dunhill bike was the base but the customer wanted a special touch of class and the polish engine was preferred to the paint engine. Stock Vincent handlebar, side panels and a 998cc with 4-speed to stay as close as possible from the stock White Shadow behavior and sensations. 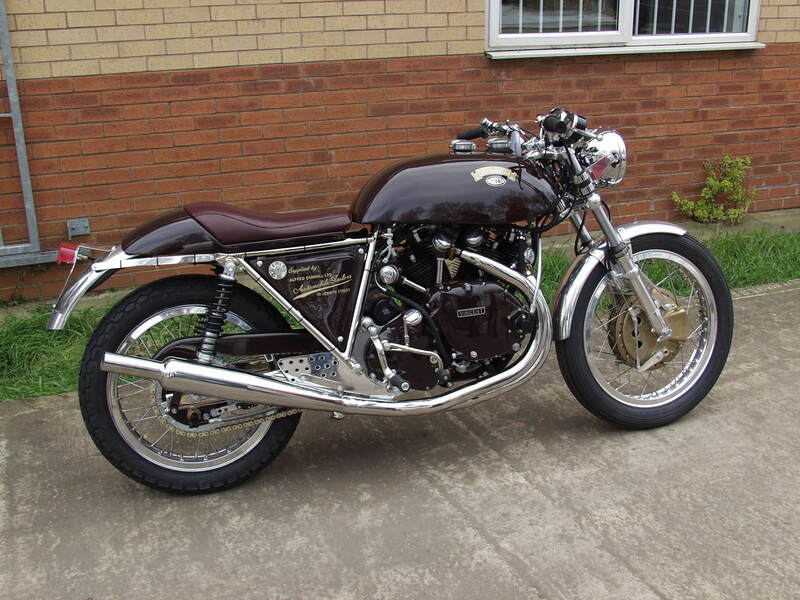 The Extreme Sport GT, the Chocolate Lightning based on a 1330cc and Surtees 5-speed. The Side panels and the Dunhill color provide a definite touch of class.